Please feel free to Link to us. Just choose and copy one of our graphic banners, then just link the banner to www.healthylife.net. 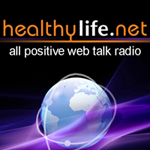 HealthyLife.Net is an all positive 24/7 Internet Radio Network airing topics you want to hear by over 40 seasoned TV, film, radio and national lecturer hosts to help you have a happy, healthy life.